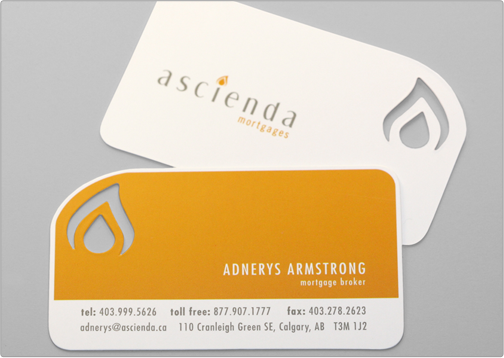 The Ascienda Mortgages card has a perfect balance of professionalism and edge. 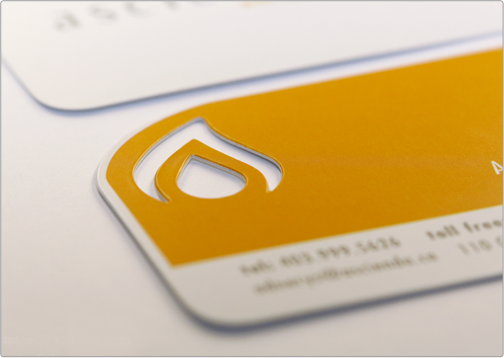 The cleanly laid out information makes it a very effective functional calling card, while the specialty die-cut punch out and contour cut make this unique and a true crowd pleaser. The vibrant bright orange hue on the info side of the card contrasts excellently with the clean white logo side of the card.